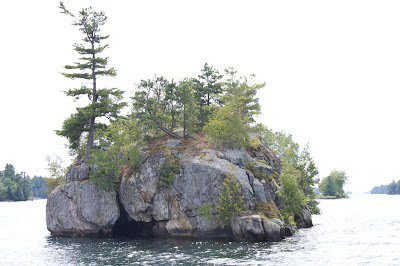 At some point, I started to feel the decline of summer. 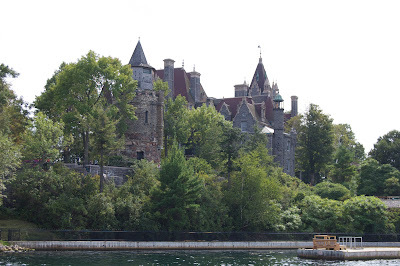 Perhaps it was the chill in the air at night. Or perhaps it was the near palpable energy of change on the wind. As soon as I notice one of the signs, more and more become apparent. The leaves are changing. The ash trees in back are turning a yellow orange. Some maple along the hedges are turning orange-red. The pumpkin in my garden is a bright orange. Bees are building a hive in my garage to hibernate for the winter. The corn in the fields are high. The sky grows dark sooner and sooner. Today I noticed the absence of fireflies in the field. To me that is a sure sign that summer is on its deathbed. So too is the visitor on my kitchen window. 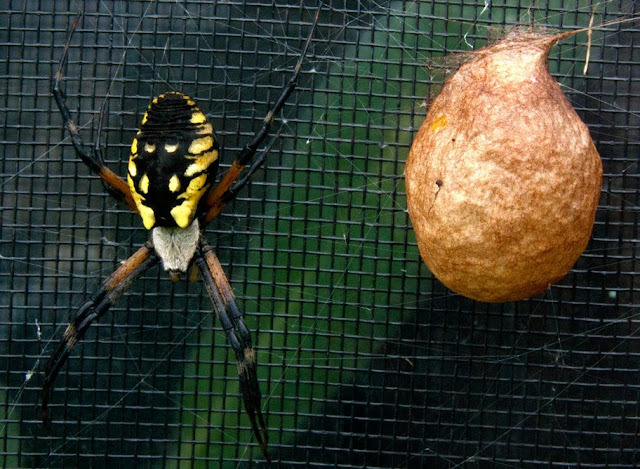 Yesterday I noticed her – a large but beautiful black and yellow garden spider and her equally large egg sac. Her last act will be protecting her babies until the first frost kills her. I’m honored that she’s found comfort at my home. In addition to all this, I saw little fish who stalked my toes and tried to eat my fingers, a deer, a humming bird, and a pheasant. Sorry for the infrequent posts, readers. Summer vacation is almost over and I suddenly feel as if I’m trying to cram all of my fun in this last week. 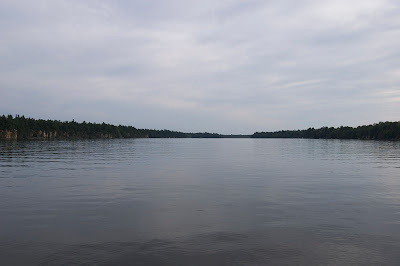 Yesterday I went kayaking and tomorrow I’m hopeful to visit the Museum of Civilizations in Ottawa. Today, my family is visiting to celebrate my mum’s birthday! We’re going on a boat tour in Alexandria Bay and will have dinner at her favorite restaurant. Aside from the money I make sewing, I don’t receive paychecks in the summer. We’re scraping the bottom of our budgetary bucket right now so my original gift ideas will have to wait until Winter Solstice. Still, I think she’ll enjoy what I’m giving her this year! My mum has a garden but it’s severely lack in herbs. I recently picked up some dried lavender bouquets for my sister’s wedding (from a fellow pagan friend), and my mum loved them. I stopped at my favorite farm stand in town to buy her some living lavender to take home. It smells delectable! 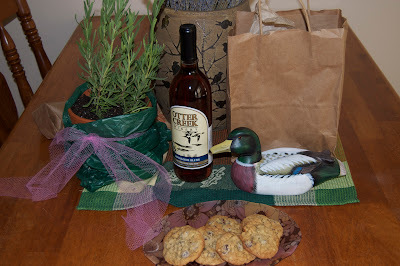 I also picked out some local wine and cookies at our farmers’ market. Finally – the duck. My mum wants to start collecting wooden duck hunting decoys. 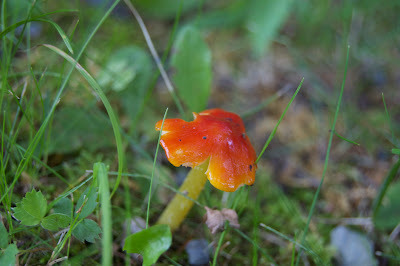 (It’s a big thing in Northern NY.) She bought a decoy at an antique show years ago and found out it was made of foam. Still, she likes it and wants to add to her flock. The problem is they’re usually so, so expensive. When I went to a barn sale with my friend C, I found this poor mallard. His neck had been broken and glued back together. Despite this slight defect, he was very affordable and I immediately thought of my mum. I don’t think he was ever an actual decoy, but still. I hope she likes him! After our adventures on the river, I plan to catch up with some Nine Moons work. I’ve fallen behind because of my recent oral surgery. I made some offerings to the spirits and have been doing my best to keep up with my shrine devotionals, though, so I can’t be too hard on myself! May your harvest be plentiful and August be full of joy! The sun is shining and, like Balor from the myths, threatens to kill anything that lingers in its rays too long. Many in the US have been experiencing drought. In Upstate NY, those of us who understand and value food worry about the relative lack of rain. Thankfully there has been some this weekend, but we could always use more. Here’s hoping Lugh throws his spear into the clouds and brings us some rain for the crops! 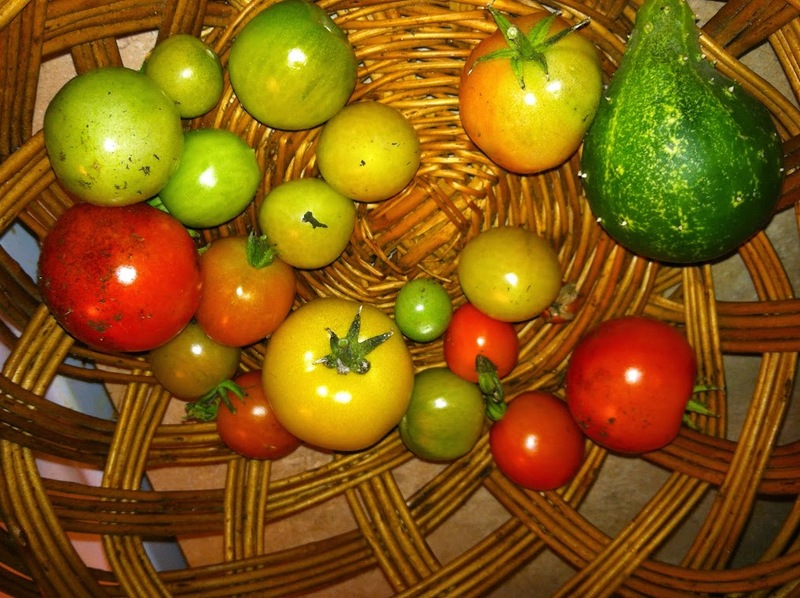 Speaking of Crops and Lughnasadh, I’ve been researching harvest customs. I joined my friends at Muin Mound Grove yesterday to celebrate the holiday with our traditional games. The mythological reason for this that Tailtiu, Lugh’s Fomorian-born foster mother, died clearing the forests in Co. Meath Ireland for farmland. Lugh promised to dedicate funeral games to her each August (Freeman, 236) and, in exchange for this observance, there would be prosperity (237). 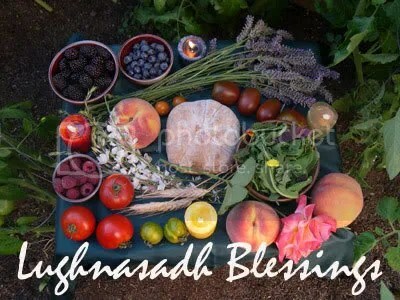 The games and the gathering of the tribes are what I usually think of when celebrating Lughnasadh. We honor Lugh, the triumphant hero who defeated Balor and learned the secrets of the wild to ensure harvest. We must also remember his foster mother, Tailtiu, an Earth Goddess who gave herself and her secrets for the benefit of others. It is also a time to remember a lesser known deity, Crom Dubh. There is little known of him, and he’s occasionally equated with the harsh and possibly demonized Crom Cruach, a God associated with human sacrifice. Crom Dubh is said to mean “dark bent-one” (Freeman, 247). He’s believed to have brought the first supply of wheat to Ireland in a sack on his back, and that he brought all knowledge associated with it (248). Indeed, there is a lot of emphasis placed on wheat. It’s used in food, brewing, thatching, and weaving (baskets, hats, etc). Around Lughnasadh, men and women wove “harvest knots,” tokens of affection, for each other out of wheat (245). Máire MacNeill first wrote about the customs of Lughnasadh and believed it to be a pan-Celtic holiday (Hutton, 327). Professor Ronald Hutton, known for his careful examination of folk customs in Britain, questions MacNeill’s research and wonders just how widespread Lughnasadh was (328). Despite his hesitation, it cannot be denied that the harvest played a significant role in early August celebrations. The Old English word for this celebration is Lammas, and, funnily enough, many Wiccans have taken this name for their high day. The original Lammas tradition involved bringing the first loaf made from the first ripe grain to church for blessings (Freeman, 233). Similarly Christianized, the highland Scots used the first corn to make bannocks in early August to celebrate the assumption of the Virgin Mary into Heaven (Hutton, 329). Indeed, there are many other rituals in Britain that involve the first grain harvested, some involving talismans and dolls (Hutton, 332-347). Whether it is Lugh, Tailtiu, Crom Dubh, or some other harvest/fertility deity you honor, there is probably food and bread involved. Knowing this, I decided to bring some of that energy into my own home. 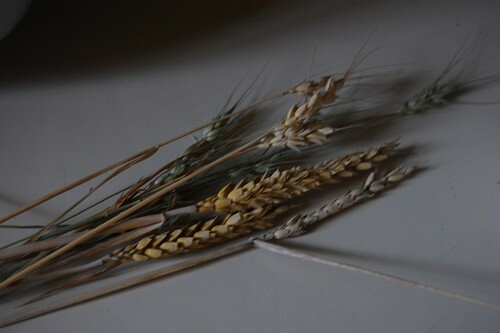 This past Imbolc, I collected some seeds from the dried wheat we used to make Brighid crosses. I planted these seeds in the spring and, to my excitement, they grew! Now, I didn’t grow very much. 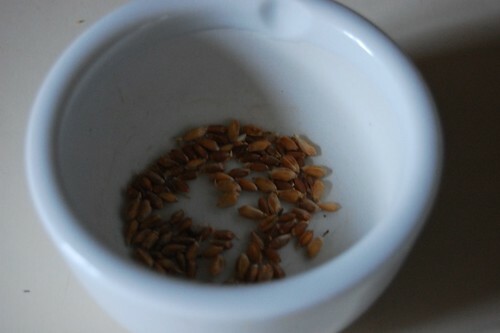 In fact, some of the wheat did not make it. I allowed the wheat that did grow to dry (not difficult to do given the amount of sun and rain we’ve had…). I brought this wheat in and removed the seeds from the chaff. This is a lengthy process by hand. I saved some of the seeds for the garden next year and put the rest into my mortar. 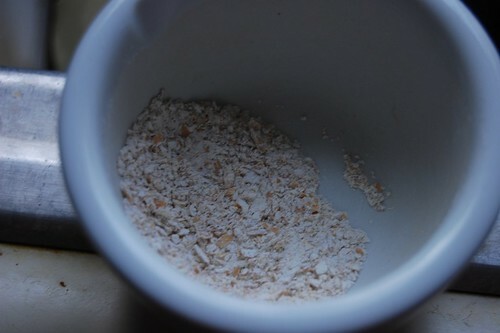 I crushed the seeds with my pestle and was delighted to watch them transform into white dust. It took a long time to do this. My arm ached from the process and, in the end, I only made about a tablespoon of flour. 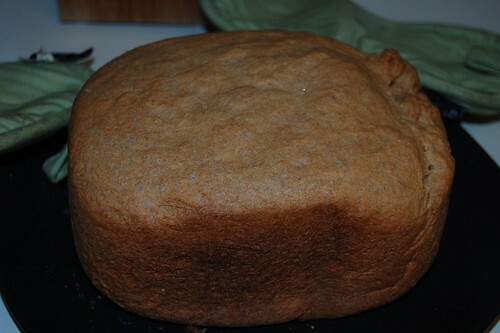 It’s amazing to think of my ancient ancestors making enough flour to bake whole loaves of bread. If I ever have enough land to grow a small field of cereal grains, I definitely want to invest in a mill. In the meantime, I’m lucky enough to have a local mill and wheat farmer. Freeman, Mara. Kindling the Celtic Spirit. Harper Collins, NY. 2001. Hutton, Ronald. The Stations of the Sun. Oxford. 1996. Hello everyone! Terribly sorry for the infrequent posts this months. As always, I’ve had a lot going on. I’m taking one class at the moment and preparing for my sister’s bridal shower. I’ve spent a majority of my free time cleaning my art room (it was a terrible mess, really…), crocheting, watching “Firefly” with my husband, and reading the Harry Potter series. I’m a bit (ok, quite a bit) late to Harry Potter mania, but the important thing is that I’ve finally gotten into them! Of course, I’m still gardening. The patio garden looks much better this year! My echinacea flowers are more numerous, my tomatoes more robust, and I seem to be having success with my eggplants and even a zucchini! 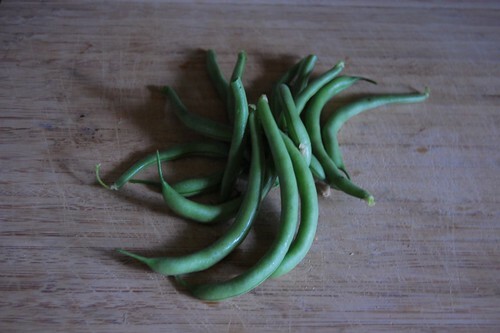 I harvested the first batch of bush beans the other day. I got a good fistfull from one pot! I had a pair of mystery plants growing in my garden. I didn’t have the heart to rip them out, especially when I noticed massive buds forming. I really wanted to identify the plant so I remained patient! 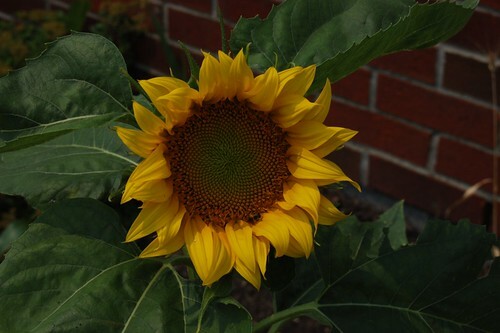 I knew they were growing where my bird feeder used to be and, sure enough, they turned out to be beautiful sunflowers! The bees are in heaven! I love the spiraling pattern in the center… Mother Nature is a spectacular artist! Thankfully, I’ve also had time to keep up with my Druidic studies. I completed the Full Moon portion of the 4th Moon of the 9 Moons this week. Wow, say that five times fast! Anyway, I felt it was very successful. Since getting a kindle, I’ve been using Ian’s ritual scripts which is a little odd for me… I’ve never fancied myself much of a technopagan during ritual… I’m not sure how comfortable I feel using it. It certainly saves me some time, though… That said, I don’t think it’s detracted from my rituals anymore than reading a printed page. Do I always intend to use a kindle? No. In fact, most times I prefer to speak from the heart – it feels stronger that way. But, as I’m one of Ian’s guinea pigs, I wanted to keep the ancestral ritual focused and I really liked the language he chose. It involved obtaining a skull fetish, making offerings to various ancestors, and inviting them to use the skull as their eyes and ears during any workings we do together. 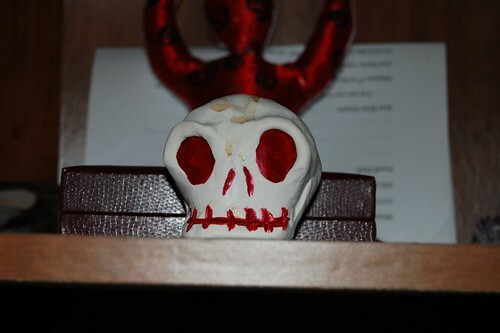 Crafty Pagan that I am, I decided to make a skull with clay. I didn’t think it right to use an animal skull to represent my human ancestors. It seemed disrespectful to the skull’s original inhabitant. I don’t fancy myself as much of a sculpture, but I think it turned out pretty well. I decided to paint the features red to reflect blood ties. The stains on it are from offerings during the previous night’s rituals. It’s currently sitting on my ancestor shelf. Otherwise? It’s been very hot. 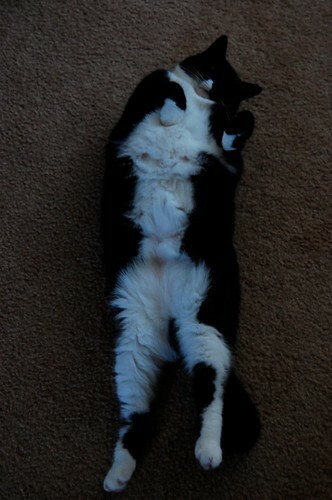 The whole lot of us have been lazing around trying to beat the heat. If I weren’t so darned busy with classes, homework, and other obligations, I would have gone to the beach this morning. I hope everyone reading this is staying cool!